The 17th hole is another straight away par four. Place your tee shot down the right center of the fairway which will take the fairway bunker to the left out of play. This provides the best angle to the crowned green. 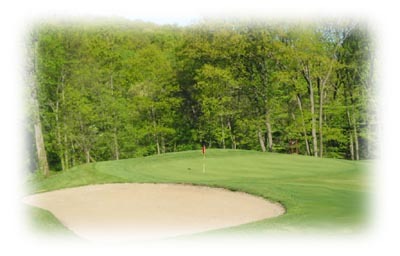 Smart players aim their second shot for the center of this flat green, as the green is surrounded by steep hills on three sides. Missing the green here can create a big number.